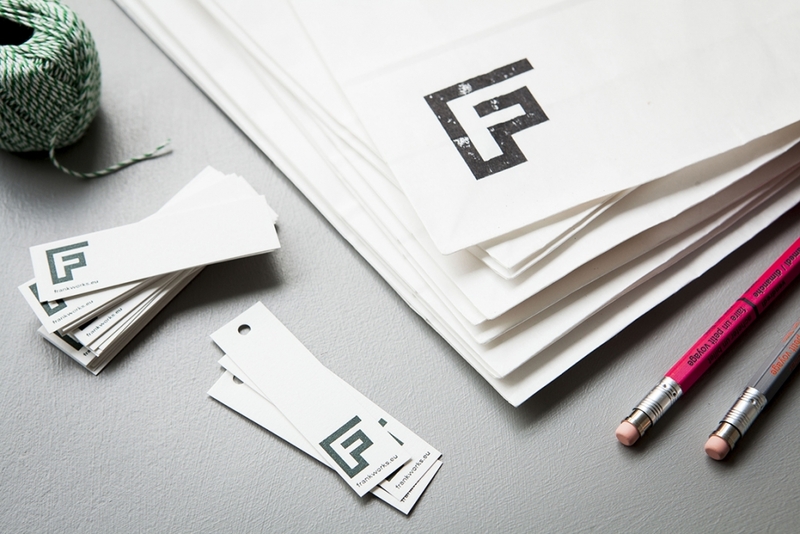 “The typeface of the new Frank logo derived from a headline font drawn in the early post-war years by my grandfather, Walter Breker (1904–1980). Walter Breker was one of West Germany’s most prominent poster designers of his time and variations of this typeface appeared in many of his designs. 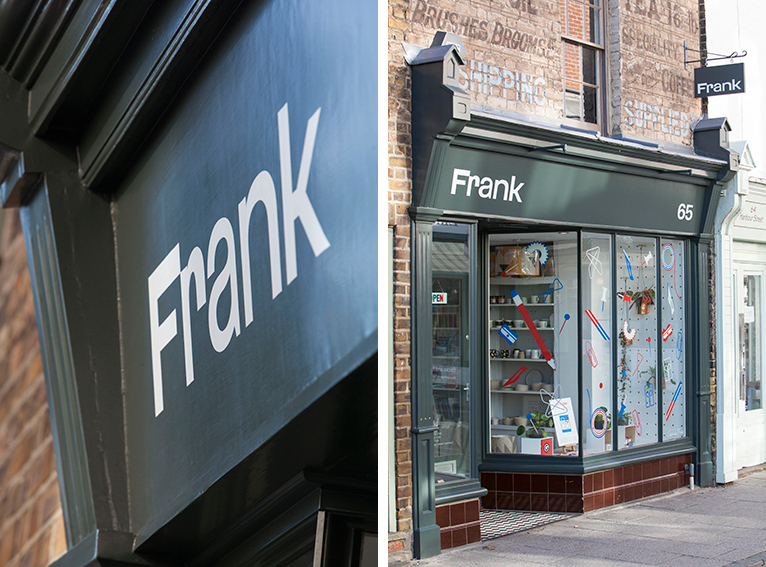 This redrawn ‘Frank’ typeface reflects the positive mood of the modernist, post-war era in continental Europe before the dominance of the less playful and sometimes dogmatic typefaces used in the Swiss ‘international’ style such as Helvetica and Univers. Peter’s book designs can be seen on his website here. In addition to Peter’s work, we’d also like to acknowledge Adams of Rye who printed our letterpress business card. 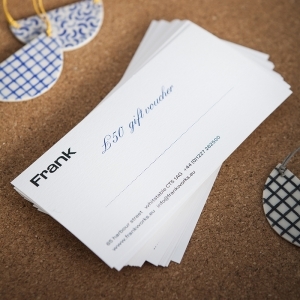 Ian Foster at Adams is responsible for all the stationery printing at Frank, and we’re most grateful for his expertise. It’s part of our ethos to use traditional techniques and processes as often as we can, and working with Adams has certainly allowed us to maintain this aim. Next we’d like to thank our web designer, David Abbott of Chesapeake, who has sensitively applied the new identity to our website. David is someone else who has worked wth us on a number of projects over a number of years, and we’re glad to have him with us. We have refurbished the inside, as well as the outside, of Frank, images of which can be seen here and here. We’re enourmously grateful to Andrew Hayes Watkins—an extraordinarily talented photographer—for capturing the spirit of the new Frank. See more of his work here.